Instaletter is not free, but you can earn back the $14.99 annual membership fee simply by referring three friends. That’s a great deal for a service that has so many features. With Instaletter, you can create unlimited Santa letters to print at home with their easy online interface, and you can also create Good List certificates and matching envelopes. And you’ll be able to get a preview of everything before you print your final product. It’s easy and fun. First, you select one of their letter templates. 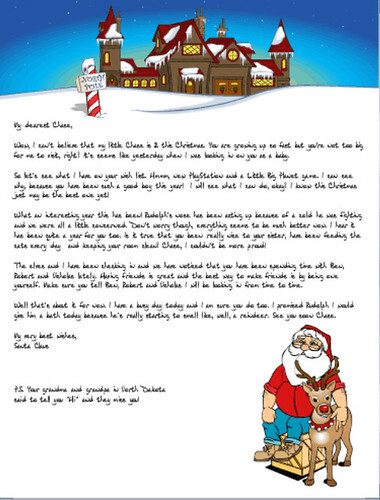 They have a variety of choices, including letters for children who are questioning whether Santa is real or those who have recently visited Santa Claus in person. Each letter allows you to add three types of customization with up to three items each. So you might choose accomplishments, friends and pets, and list up to three accomplishments, three names of friends and three pet names. Or you could choose accomplishments, wish list items and items the child needs to work on. You can mix and match with each letter. You can also customize the stationery. They offer 16 different basic designs, and then you can add additional images of Santa, reindeer, Mrs. Claus, Christmas gifts, Santa’s initials, and more. You could literally create hundreds of unique designs from the options available, and then you can create matching envelopes to go along with your letters. And it’s all done with simple drag-and-drop technology. What makes the service an even better value is that it’s not just available for Santa letters. 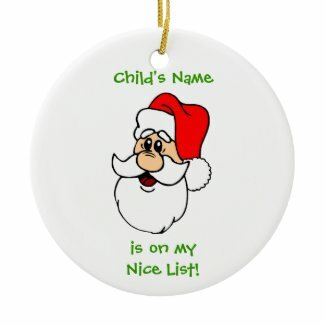 You can also create Santa’s Nice List certificates, as well as letters from Cupid and the Easter Bunny. You’ll actually have to sign up and pay the $14.99 fee if you want to use this service, but Instaletter will pay you $5 for each person you refer who signs up. So if you’ve got three friends or family members who would also like to create Santa letters, you could get your membership for free. Visit Instaletter to learn more.